Conversation with The Australian’s Foreign Editor Greg Sheridan and CIS senior research fellow Peter Kurti on the intellectual, historical and cultural case for belief in God. Australia and many parts of the West are losing faith in God. And yet the Judeo-Christian tradition has created and underpinned the moral and legal fabric of Western Civilisation. Where the moral certainties that underpin Australia’s institutions and laws are no longer held by the majority, we – both the believers and non-believers – find ourselves in a fraught situation. 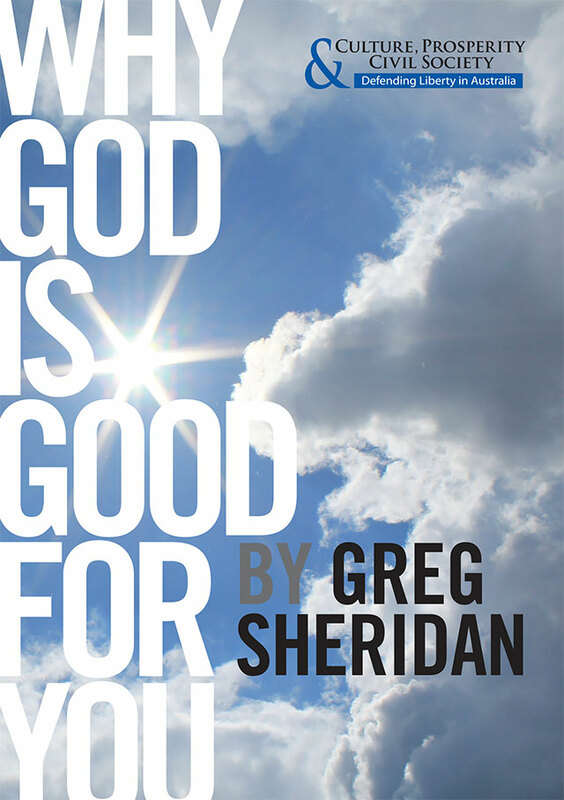 In his new book, God Is Good For You (Allen & Unwin), Greg Sheridan sets out how modern Christians have never worked so hard to make the world a better place at a time when their faith has never been less valued.